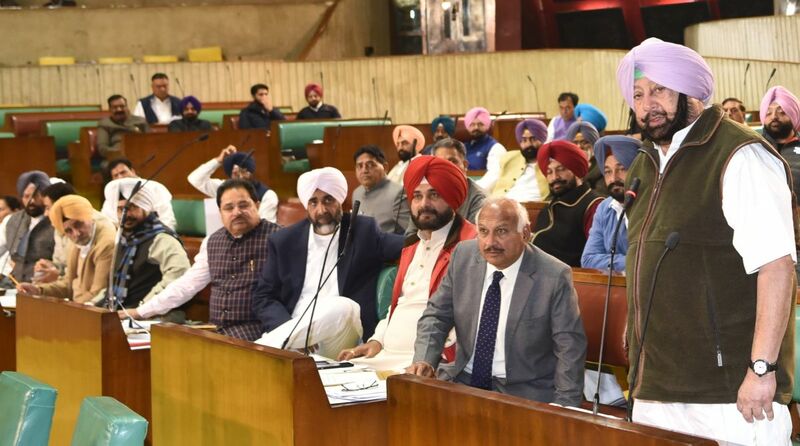 Deliberating on a resolution, which was passed unanimously passed by voice vote, on the opening of Dera Baba Nanak-Kartarpur Sahib Corridor in the Punjab Assembly, Amarinder said reiterated that the Pakistan Army could use the corridor for increasing its recruitment for revival of militancy in the state. Even as Punjab Chief Minister (CM) Amarinder Singh on Friday reiterated caution is required while dealing with Pakistan move to open the Kartarpur Corridor, Opposition parties asked the CM not to create negativity on the issue. The CM called upon all the political parties to be wary of Pakistan Army’s ulterior motive to revive terrorism in Punjab through ISI backed stooges, which was evident from the fact that several terrorist modules had been neutralised and from the arrest of numerous operatives, besides seizure of large hauls of ammunition and narcotics. Calling upon Pakistan Prime Minister Imran Khan to control his Army so that India’s latest friendship initiative doesn’t go waste, the CM said India has tried the same in the past also it didn’t yield any result. Expressing hope that Kartarpur Corridor will serve as ‘bridge of peace’ between the people of India and Pakistan, Amarinder said he would be part of the first Jatha to offer prayers at Kartarpur Sahib Gurdwara in Pakistan if Pakistan keeps peaceful relations with India. Countering Amarinder’s statement, Shiromani Akali Dal (SAD) president Sukhbir Singh Badal said the CM should not create negativity on the Kartarpur Corridor as those indulging in terrorist activities will anyway continue to do the same. “Distrust impression should not create a hurdle. There will be foolproof security arrangement (in Indian side to foil any attempts to infiltrate or misuse the corridor). People anyway go to Pakistan (for pilgrimage at Sikh sites there),” he said. Aam Aadmi Party (AAP) legislator Kanwar Sandhu accused the CM of having selective memory as India have been continuing with its peace initiatives with Pakistan despite all the tensions on the borders with the neighbouring country. “We are having bus and train service with Pakistan. 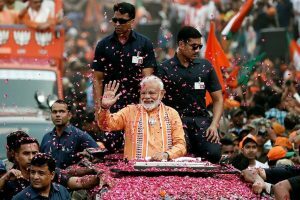 How many terrorists are coming to India using them,” he asked.